This 3 bedrooms, 3.5f bathroom townhouse located in Evian in the Shipyard Plantation! The breathing view, tasteful décor and furnishings, and the distance to the beach is sure to make this three bedrooms, three and a half bathroom townhouse one of the most sought after units in the Evian complex. This unit is ideal for an excursion with friends, a getaway with coworkers, or a vacation with the family. Located only 1.1 miles away from the beach, the unit offers an easy 15-20 minute walk to the beach or a 5-7 minute bike ride. 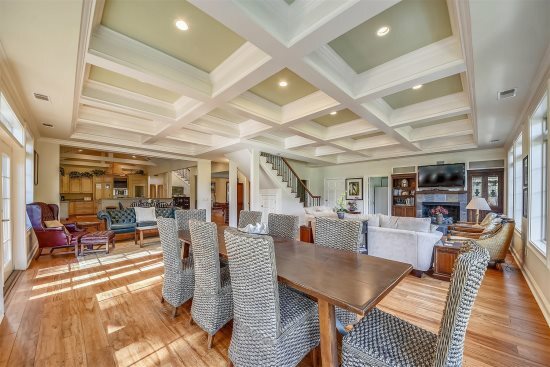 Pinewood floors lead from the foyer, past the powder room and into the dining room, which is equipped with a table and six chairs; the lagoon view beyond the French doors will make your meal more enjoyable. Past the dining room and the wet bar is the carpeted living room with alluring red couches, two comfy arm chairs, and a flat screen television mounted above a decorative fireplace. French doors provide access from this room to the back deck, which is equipped with a table and eight chairs and is the perfect place to have dinner al fresco while drinking in the tranquility of the lagoon. Everyone’s favorite room, the kitchen, will bring out the chef in you with its expansive countertop space, its storage cabinets, and mix of black and white appliance. Next to the kitchen is the breakfast nook which is the perfect place to discuss the day’s itinerary over a cup of coffee or play a game of cards while nibbling on cookies. Conveniently located outside the kitchen is a washer and dryer for all your laundry needs. Also on the first floor is a bedroom; decorated in greens and whites, it is home to a king-size bed, two bed side tables, a flat screened television, and plush carpeting throughout. The stairs lead to the other two bedrooms. The master suite is regally decorated in greens and cherry finished furniture and provides a peaceful view of the lagoon, a flat screened television, along with a walk-in closet. Off the master bedroom is the master bathroom with pinewood floors and a walk in shower. Down the opposite end of the hallway is the final bedroom in the unit. It is home to two twin beds, a computer desk and chair, and sitting areas, picture-perfect for snuggling with a book or star gazing into the galaxy. This bedroom is also has its own private bathroom. This unit is guaranteed to offer you a lovely vacation without the price tag! Shipyard Plantation is centrally located on beautiful Hilton Head Island and provides easy access to over 200 restaurants, unique shopping, and world-class golf. 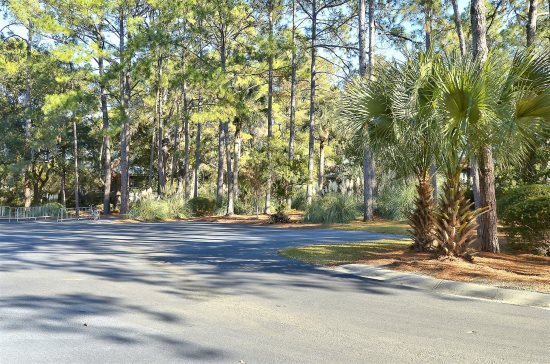 The plantation borders 12 miles of white sandy beach and offers bike paths, lagoons, golf courses, tennis courts, and an abundance of natural beauty. Evian, a popular vacation destination within the plantation, is an oasis of serenity in itself. An old fashioned gazebo and numerous benches, overlooking the 5 acre lake with its sweeping footbridge, provide an unsurpassed view of native wildlife. The nearby olympic-size pool is open year round, and is adjacent to the 6, free and lighted, tennis courts. For the ocean lover, a 15-18 minute walk, or 5-7 minute bike ride, brings you to the plantation beach club on the Atlantic Ocean. All beach distances are measured from the center of the complex. Pretty much covered everything in the survey. Great experience all around and looking to return again. Your team was GREAT! They responded right away to any inquiries, and reached out a few times in advance of our trop to ensure we had all of the information we needed prior to arrival. Evian 169 was a beautiful unit! The kitchen contained all elements to meet our needs during our stay. The updates were evident from the fresh paint and carpet to the granite counter tops. We felt like we were at home, but in a much more beautiful setting. Speaking of setting, we loved the location in Shipyard. We were close to the pool and tennis courts and very much enjoyed watching the various flora and fauna from the back patio.